McCullers, Marian Chesnut, age 93, passed away peacefully at her home in Atlanta on Tuesday March 19, 2019. Marian grew up in Chamblee, GA and graduated from Chamblee High School in 1942. She began her college studies at Georgia State College for Women (GSCW) in Milledgeville (now Georgia College) in 1942 and transferred to the University Of Georgia where she earned a Bachelor of Science in Housing and Consumer Economics in 1946 (now the College of Family and Consumer Sciences known as FACS). She was a member of Alpha Gamma Delta Sorority. Following graduation she began a 41.5 year career with the Atlanta Gas Light Company. Her initial position was as a Home Economist who went into customers homes and taught them how to use new technologies to improve their lives with appliances using natural gas. In 1967 she was promoted to the Atlanta Division Home Service Supervisor. She coordinated an educational TV show “The Blue Flame” from 1951 to 1961 for AGL on Channel 5 WAGA in Atlanta on “How to Cook” using gas ranges and ovens and refrigerators. She was the first of many Home Economists to use television as a medium to teach homemakers new cooking skills. She was an innovator and among the first to create “How to demonstrate food” techniques which had far reaching teaching instruction in University of Georgia classrooms, 4H Clubs and food commodity associations. She was also among the first to use radio to spread an educational message on WSB Radio in Atlanta where she did countless one-minute commercials that she was required to memorize. She continued to advance through the ranks of AGL and in 1977 she was promoted to Assistant Home Service Director and in 1980 she was named Director of Home Service. In 1984 she was again promoted to Assistant Vice President of Consumer Information and Education. She served on the American Gas Association’s Educational Services Committee and the Consumer Services Committee chairing each nationally during her tenure. In 1985 she was named the first female Vice President of Atlanta Gas Light Company and continued to serve in that position until she retired on February 29, 1988. Marian served as the President of the GHEA in 1975-76 (GA Home Economics Association now GAFCS). She was instrumental in the creation of the GHEA publication of The Georgia Cookbook, now out of print but highly sought after. She also chaired the HEIB (Home Economists in Business) and served on the UGA Cooperative Extension Service Advisory Committee. She received multiple Awards of Distinction by many of the organizations she served and represented. Marian McCullers involvement with the University of Georgia Alumni Association has been exemplary. While she held offices and won the Distinguished Alumni Award in 1985 she was perhaps most instrumental in serving on the committee to steer the change of the name of the College of Home Economics. She represented the business world and was prominent in negotiations between alumni and academics on the UGA campus which helped bring about the current name of the College of Family and Consumer Sciences. In 2005 Marian and her late husband Wilton (Butch) established the Marian Chesnut McCullers Scholarship at the University of Georgia in the College of Family and Consumer Sciences to support a FACS student in the Housing and Consumer Economics Department. In 2007 she also established a scholarship at Erskine College in Due West, SC in memory of her late sister-in-law, Rebecca Smith Chesnut, also a Home Economic graduate of UGA. Marian’s legacy in supporting education and new young professionals lives on today and in the future. 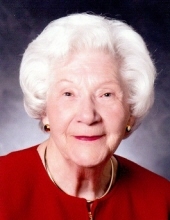 In 2008 Marian was inducted Honor Hall Of Recognition at the UGA College of Family and Consumer Sciences (FACS) in recognition for being among the first of Home Economics pioneers in the field of business in the State of Georgia. She was a trailblazer in a field not typically dominated by women. She was a visionary who constantly searched for ways to further the business aspect of the FACS profession outside of Atlanta Gas Light Company by helping build relationships with businesses. She was the precursor of the development program at FACS with the establishment of internships in non traditional fields of study within the FACS discipline. Marian is also a member of the UGA Founding Presidents Club. In 2009 she was inducted into the Chamblee High School Hall of Fame. She was a long standing member of the Clairmont Hills Baptist Church (now Bridge Point Church of Toco Hills), the DeKalb Historical Society and the Atlanta Athletic Club. Marian was predeceased by her parents, David Gladney Chestnut and Olivia Warren Chesnut and her husband, Wilton C. (Butch) McCullers. She is survived by nephews, J. David (Linda) Chesnut, Decatur and Jess W. Bowen, III (Carroll), Waverly, TN and David G. Bowen (Marcia), Brentwood, TN and nieces, Cheryl Miller Guynn (Jim), Aiken, SC and Judith Bowen Kowalski, MD (Dr. Steve), Mountainbrook, AL. In addition she is also survived by multiple great-nieces and nephews as well as great-great niece, Nancy E. Leslie. In lieu of flowers memorial contributions may be made to the Marian Chesnut McCullers Scholarship at the UGA College of Family & Consumer Sciences. Please make checks payable to UGA Foundation, University of Georgia Division of Development and Alumni Relations, 394 S. Milledge Ave., Athens, GA 30602. Her funeral services will be held in the chapel of A. S. Turner & Sons at 10:30 am Saturday March 23 with Rev. Larry T. Burgess officiating. Interment will follow at Prosperity Cemetery, 5672 Peachtree Rd., Chamblee, GA. 30041. The family will receive friends one hour prior to the services. To send flowers or a remembrance gift to the family of Marian Louise McCullers, please visit our Tribute Store. "Email Address" would like to share the life celebration of Marian Louise McCullers. Click on the "link" to go to share a favorite memory or leave a condolence message for the family.